Dawson Tyre Services cover the entire West Midlands area reaching from Telford and East Birmingham to Lichfield and Worcestershire. Ensuring we hold enough stock to cover all possible tyre related problems. 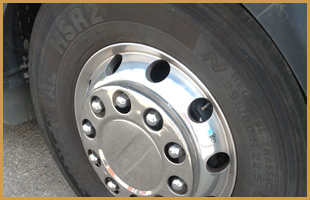 When travelling further a field Dawson Tyres are full members of a number of distribution networks ensuring your vehicles are kept rolling both nationally and internationally. We work closely with the ITDN, a network of independent tyre dealers throughout the UK and Northern Ireland. Together we offer a prompt, professional and reliable breakdown service to all our members and their customers 24 hours a day, 365 days a year. All of their members have fully equipped network vans waiting to deal with your requirements. If needed this service can also extend to cover vehicles in Europe. As an association they are only here for you, they value your business and want to make your business stronger. Whether your vehicles are Truck, Van, Car or Plant, together we can get them back on the road, moving again - quickly. 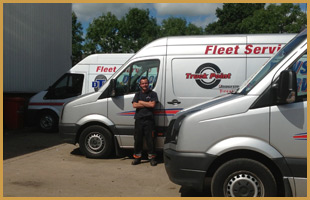 We also work together with Bandvulc Tyres to help manage their fleets. At the heart of their service today is BTC – Bandvulc Fleet Management – an advanced tyre fleet management system designed to ensure operators get the most out of their tyres and that best practice is adhered to in every case. No matter what your tyre needs, Bandvulc and Dawson Tyres have the solution. We service fleets of every shape and size with the ability to manage all types of vehicle as well as plant, machinery and even lawnmowers. With flexibility the key, from the purchase of a single tyre – be it new or retreaded – right through to a comprehensive tyre supply and management agreement for the largest fleet, we can deliver. We also work with Truckpoint, a pan European service network made up of independent, professional truck tyre dealers able to guarantee a high service level to fleets, 24 hour breakdown via Service Europe and a wide range of quality products covering all types of operations. Exclusively for truck fleets, the network is fully equipped with facilities like truck tyre machinery, mobile service vans and fitting areas dedicated to trucks at the dealers outlets. On top of that, their Tyre Inspection Module is an ultra modern and cost effective tyre management tool for the Truck Point dealers, which provides all the necessary reports for professional tyre management.